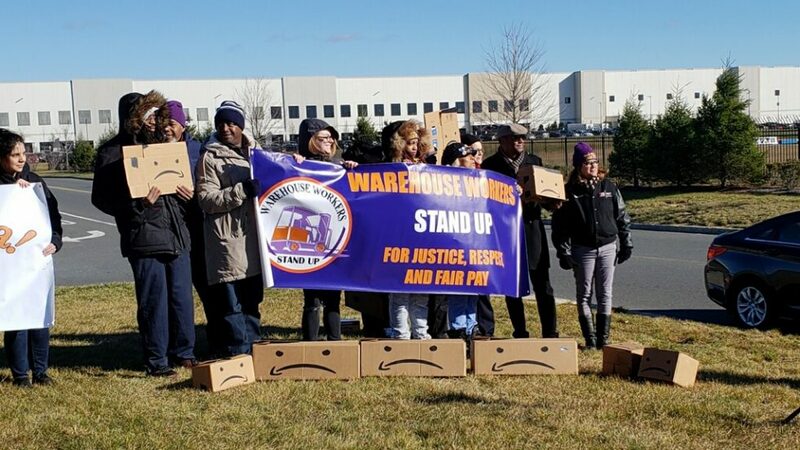 Wall Street Journal – Labor groups are pressing for greater protections for warehouse workers in New Jersey, one of the biggest and fastest-growing distribution areas in the U.S., after an accident at an Amazon.com Inc. facility there that sickened dozens of employees last week. 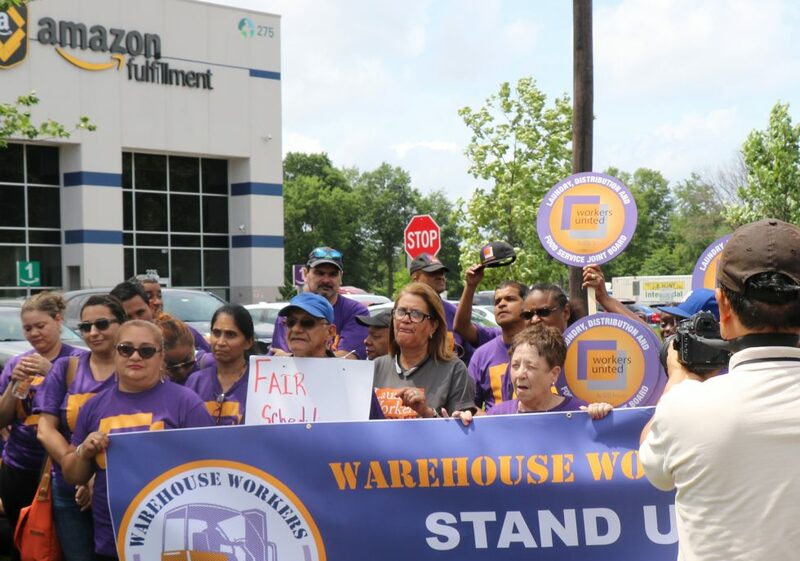 App – New Jersey’s sprawling Ports of Newark, Elizabeth and Bayonne and its network of highways are helping to fuel the Garden State’s transformation into the warehouse state, an engine fueled by e-commerce deliveries. 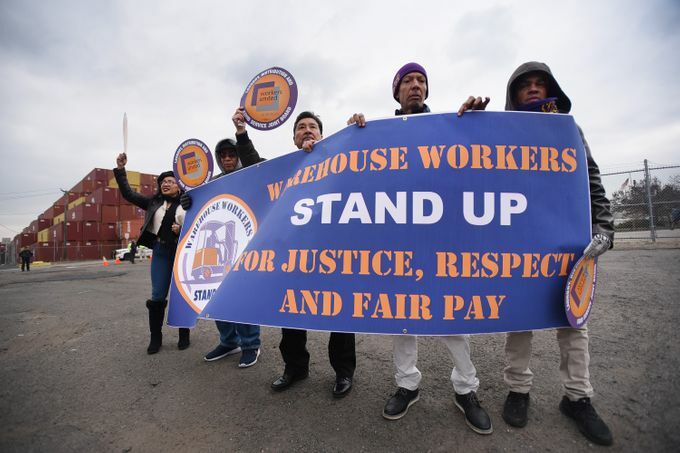 But labor unions and community organizers said it comes at a high cost: dangerous workplace conditions and low wages. 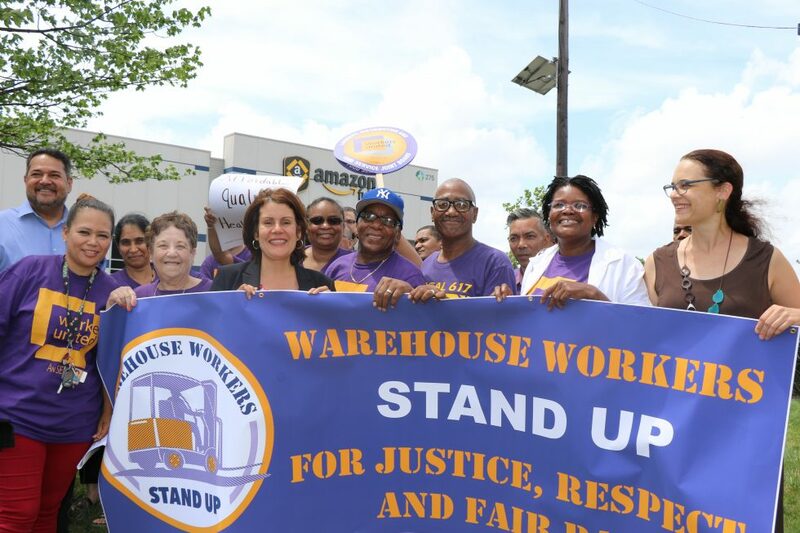 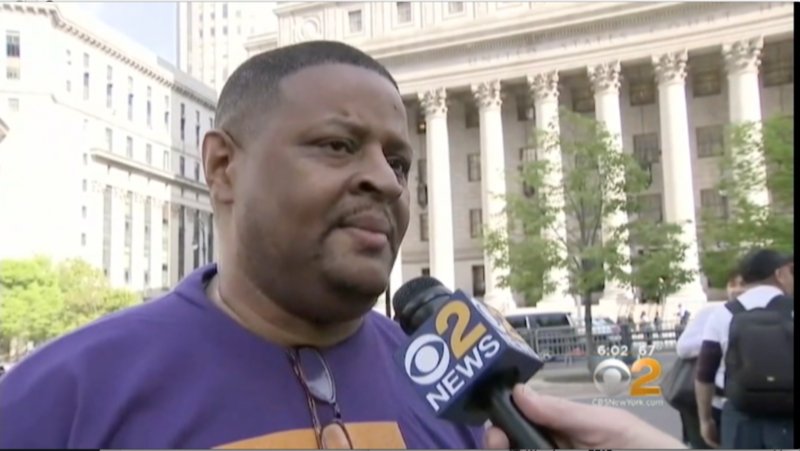 NJTV Online – More than 50 warehouse workers, union representatives and Newark Mayor Ras Baraka rallied about being overworked and underpaid after a newly released report by Warehouse Workers Standup showed employees face constant pressure to meet the demands of faster delivery in unsafe work environments. 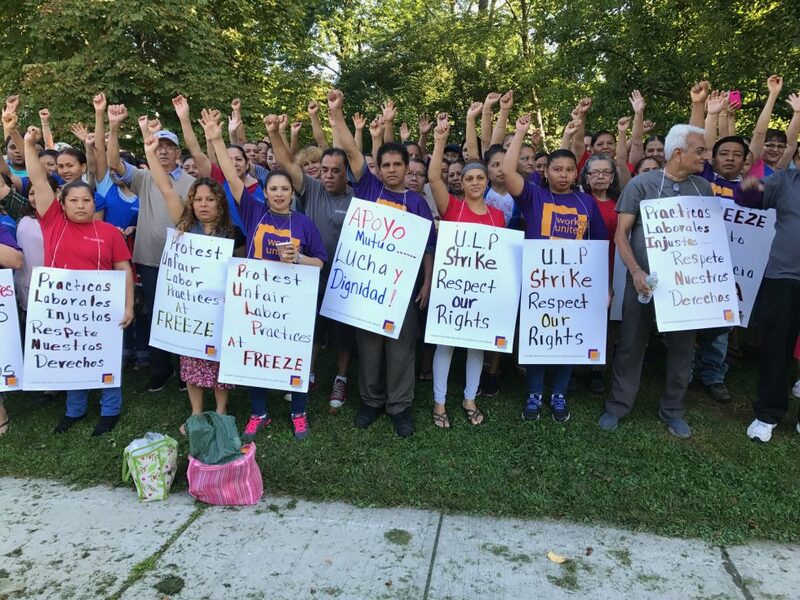 The incident “implies a profound lack of safety planning and training,” said Alberto Arroyo, co-manager of the Laundry, Distribution & Food Service Joint Board of the Workers United/SEIU union, and Debra Coyle McFadden, executive director of the NJ Work Environment Council, in a joint statement. 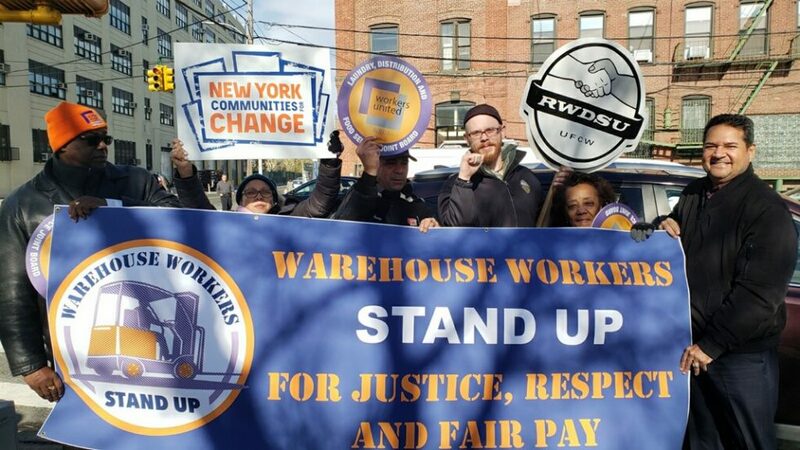 The two groups are part of Warehouse Workers Stand Up, a coalition that is campaigning for reforms to protect warehouse workers. 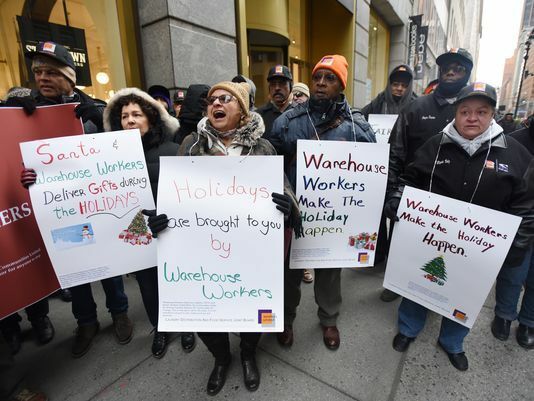 We make the holidays happen! 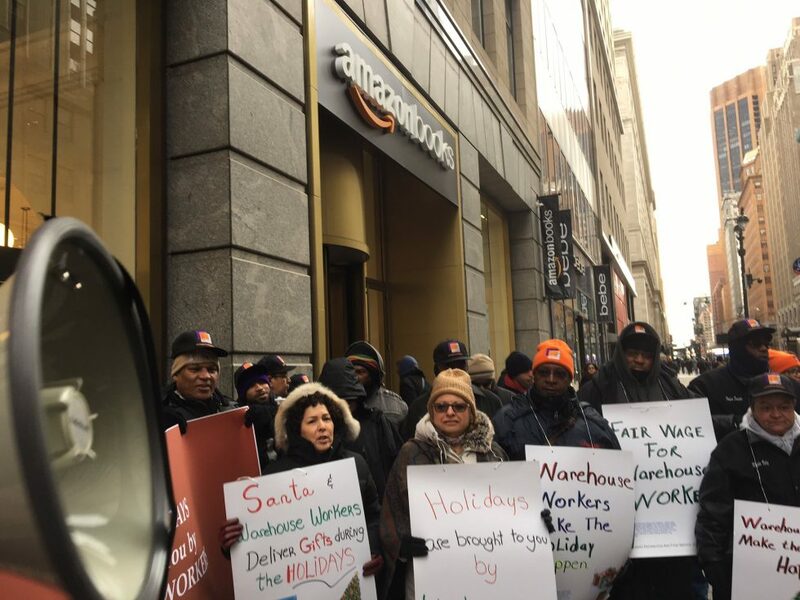 Letting Amazon know that we make the holidays happen and we demand a living wage and the freedom to form a union. 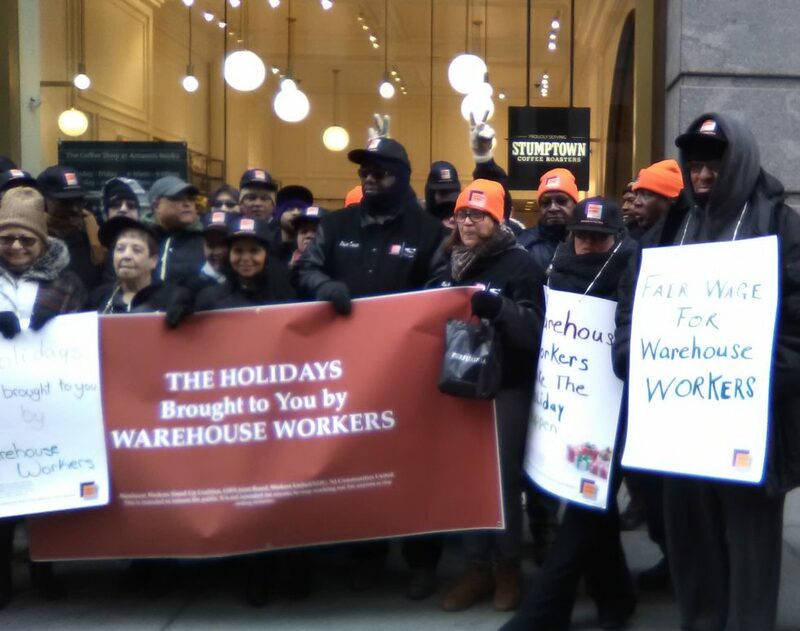 (northjersey.com) A group of New Jersey workers stood in the cold outside an Amazon Books store in Manhattan on Wednesday to remind shoppers that their online purchases are made possible by warehouse employees who often are underpaid and denied normal workplace benefits. 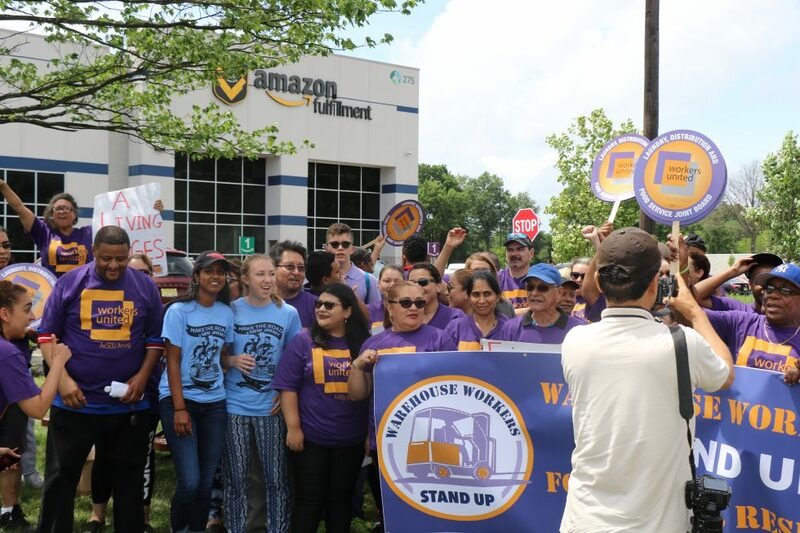 (CBS) “All we’re asking Amazon is to respect their workers, pay them a decent wage. 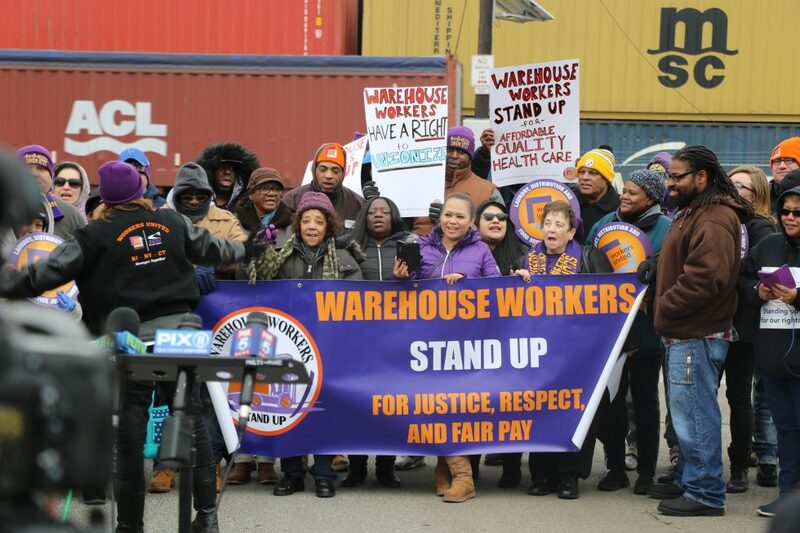 We’re asking for a code of conduct,” said a 73-year-old woman who said she makes $10.90 an hour. 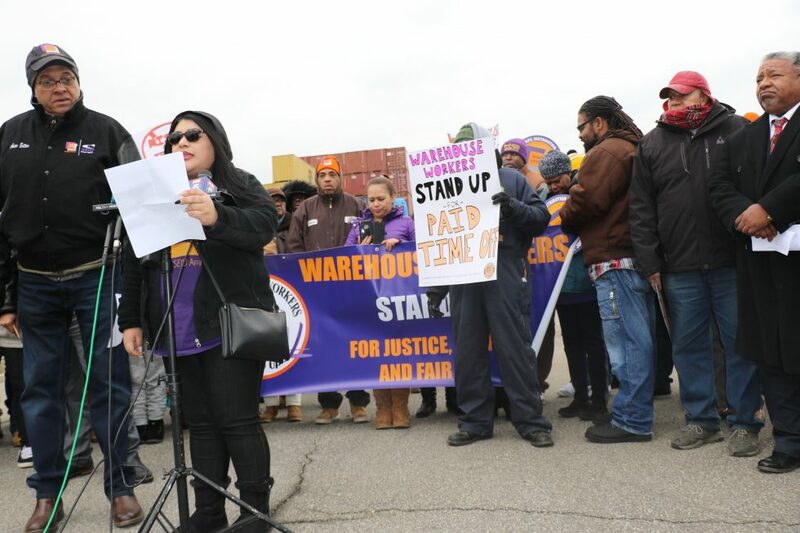 “I work at a clothing distribution center. 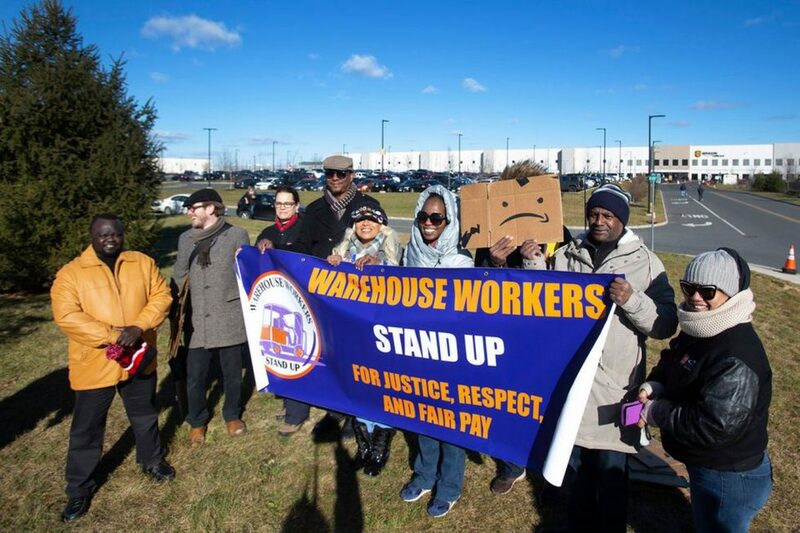 I work at that warehouse for 20 years and I’m still paid less than $15 an hour. 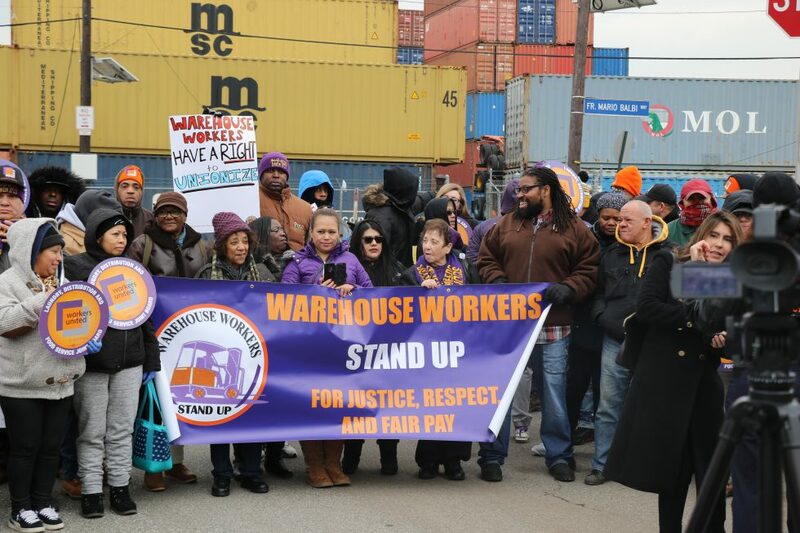 Many of us are paid less than $10 an hour. 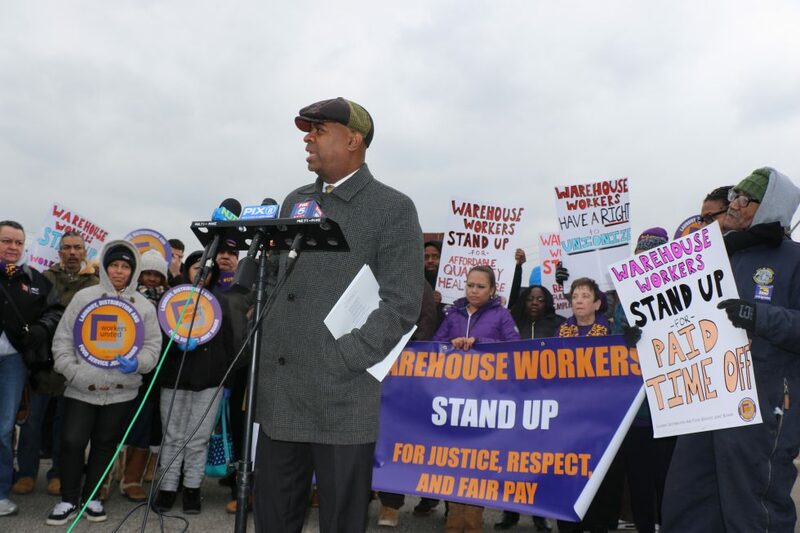 Who can live with that?” Miguel Rosario, Distribution worker. 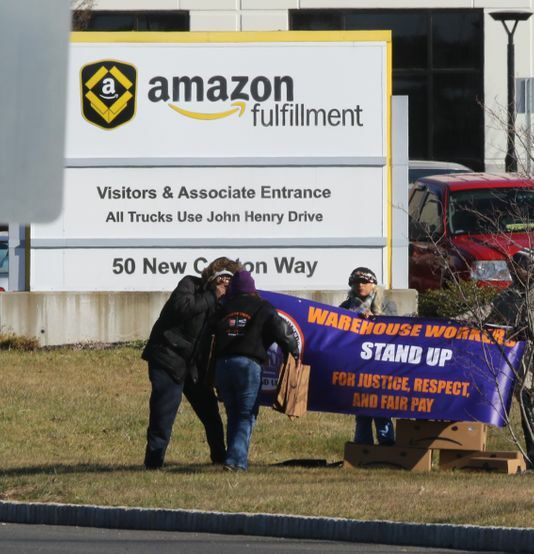 (My Central New Jersey) Warehouse workers at a clothing distribution facility that services such large retailers as Amazon, Walmart, Macy’s and JCPenney held a two-hour strike Wednesday morning.